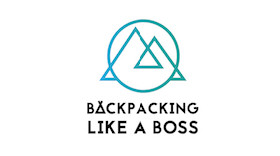 Two Weeks in Bolivia !! 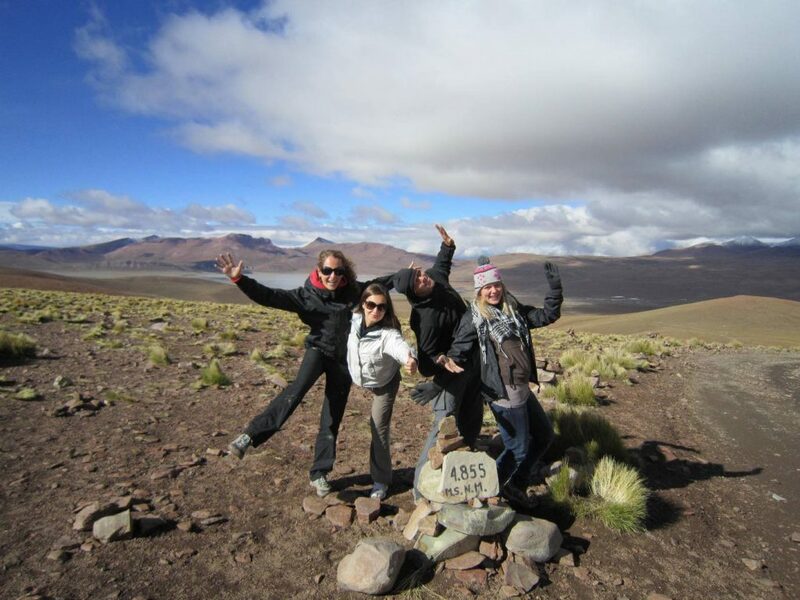 From Tupiza to La Paz - One Great Adventure! 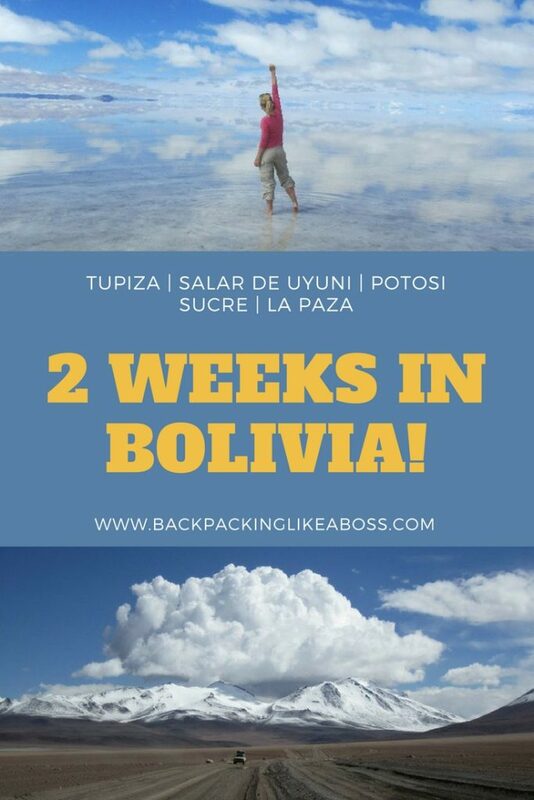 Two Weeks in Bolivia!! 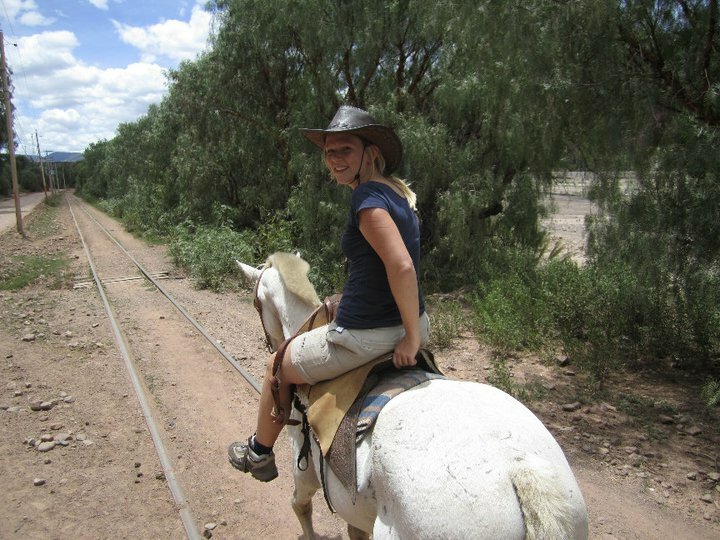 From Tupiza to La Paz – One Great Adventure! Hola todos!! It has been a while, and thanks to some struggles on the way I’m only able to write this story right now. 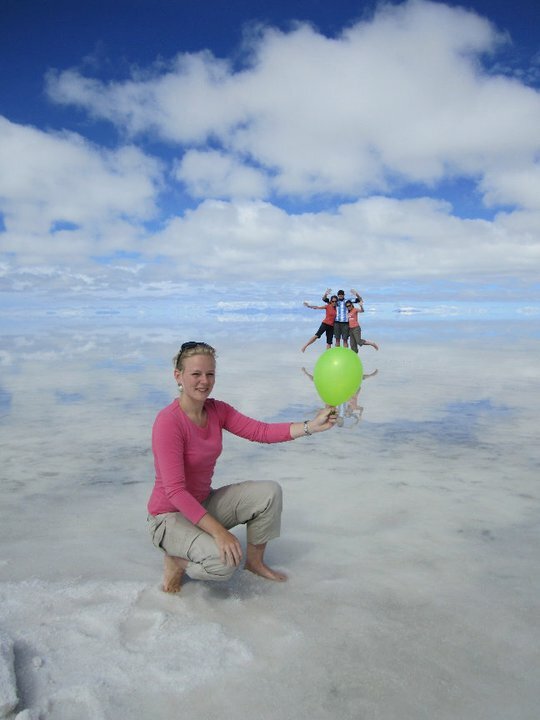 In my two weeks in Bolivia I celebrated my birthday, visited the Salar de Uyuni, had a broken laptop, suffered from altitude, had a lot of crappy internet but also loads of adventures! So there is enough to tell, so sit tight and enjoy :)! 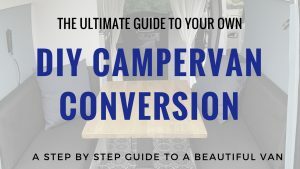 Because it’s easier and cheaper to book a tour to the salt flats in Bolivia as a group, we decided to stick together for our two weeks in Bolivia. Together we left for Tupiza, Bolivia. We took a nightbus and arrived at the border at 6am in the morning. We had already climbed a couple of 1000 meters and you could really feel it in your body! Then we had to wait around a bit, accompanied by more backpackers and very cute dog and then took a taxi to the border. This all went quite smoothly. Then I remembered I had read somewhere that it might be cheap to take private transport (taxi) to Tupiza. That’s what we did, and it was cheap and fast! We were so happy we did this – other people that where with us at the border arrived at 9pm, we arrived at 11 am!! So if you’re with 3 or 4 people, that’s really the way to go! 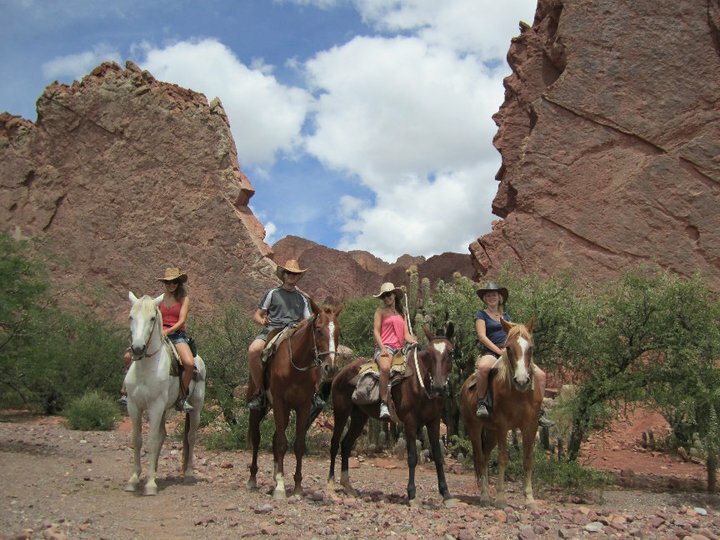 Tupiza is a cute little town 2 hours from the Argentine/Bolivian border, famous for its horse riding opportunities. So that’s what we did! A very beautiful 3 hour ride with good galopping (thanks Claire for switching horses 😉 – mine was soo fat it couldn’t run). Then we almost got killed by an upcoming, unexpected train from the mines. Luckily the horses knew what to do when the train popped up from around the corner!! Comfortably with the 4 of us in the jeep, we left with Hernan (driver/guide) and Julia (cook). The first day started off with some thrilling moments! It was rainy season. This in combination with dirt roads means lots of muddy roads! Add to that high cliffs and things get very exciting and scary. Luckily, Hernan kept us on the road and we arrived at our first accommodation without trouble. Basic accommodations without showers, but with running water and toilets, so not too bad! Most ” natural toilets” we created smelled way better than the public toilets we encountered on the way. This was really not great!! Despite all the beauty – there was one major deception: the hotsprings – there where 30 other jeeps waiting. But still, not having showered for 2 days it was nice to get clean with hot water! Despite the hotsprings, the second day was the best of the whole trip! We took 600 pictures all together, imagine how great it was. The 3rd day was beautiful again with many flamingo’s, but a bit less scenic than day 2. 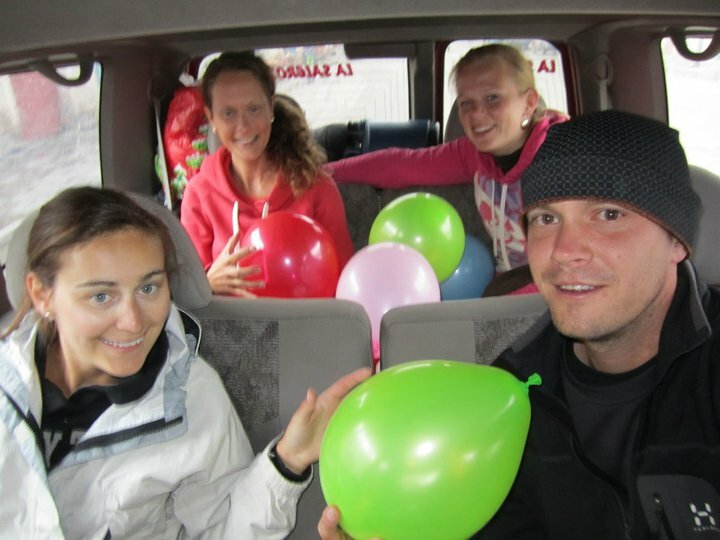 We arrived in Uyuni at night, at the night before my birthday! Because of the altitude we couldn’t have a big party! And of course we had to get up early again next day to get to the famous Salt Flats of Uyuni 🙂 . In the morning, I got some great surprises for my birthday – a huuuuge cake baked by Julia, balloons in the car, some birthday cards and a bottle of champaign in the Salar! 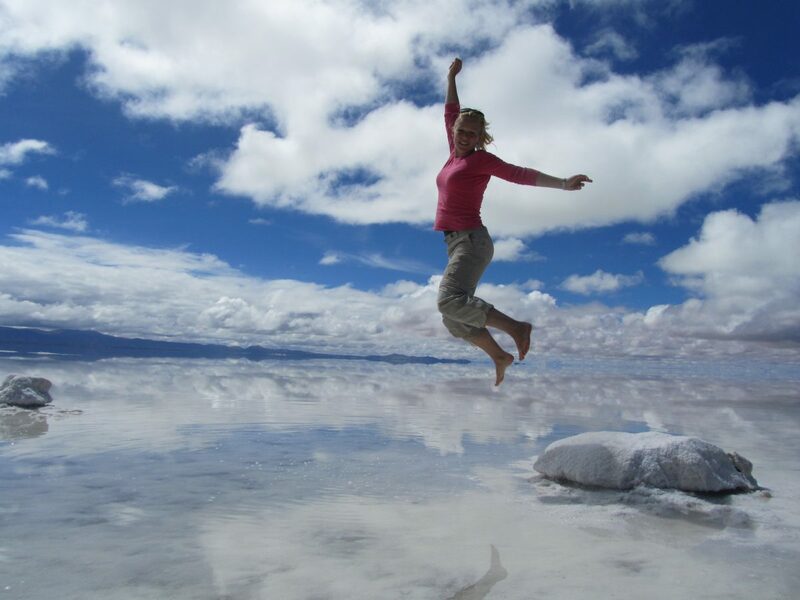 My birthday in the Salar the Uyuni! 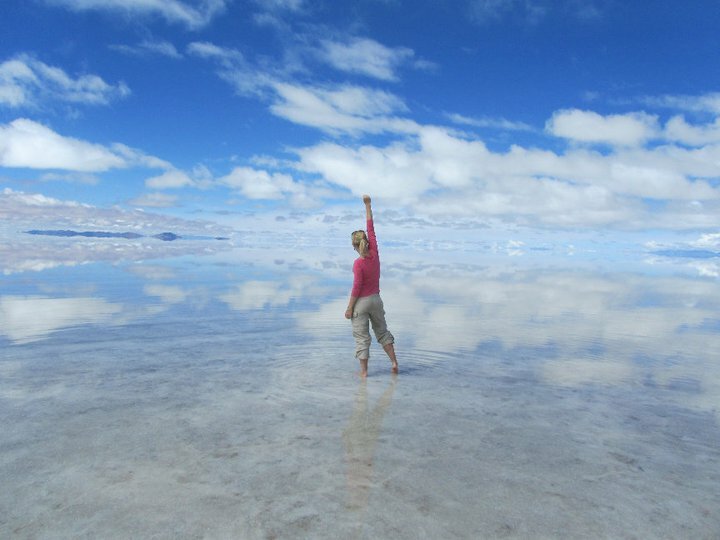 Picture fun in the Salar de Uyuni! Next day it was time to say goodbye! 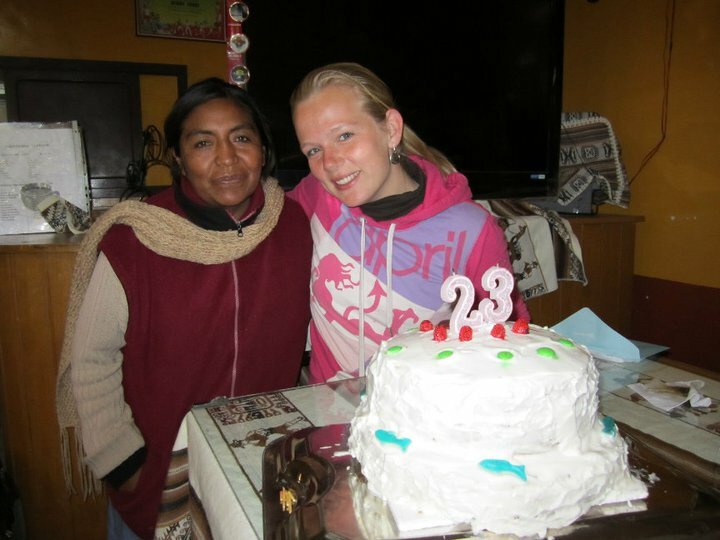 Anna and Claire left for La Paz and I travelled with Kenneth to Potosi, the highest city in the world!! Indeed very high :). And rainy, seriously rainy!! The streets were completely flooded, so we just went out for some drinks and hamburgers and an early night of sleep. The next day, Kenneth visited the Potosi Mines . Potosi is not just the highest city in the world, but was once really rich too due to its mines. Dark, deep dusty narrow hallways are not really my thing, so I decided to have a sleep in ;-). That same afternoon, we decided to take the bus to Sucre. Next day I was a bit better and we went to visit the dinosaur park. You are supposed to be able to view ancient footprints from the dinosaurs, so we expected to get really close and take awesome pictures. Unfortunately, they were more than 100 meters away, and the rest of the park was created for kids. Waste of time and money, but good fun :P.
The next day Kenneth and I took a plane to La Paz. Instead of a nasty 12 hour busride, this was quite comfortable especially because I was still feeling ill.
To make things worse, my laptop broke down on the way!! A stupid windows mistake. So I had to find someone who could fix it. Our first hostel in La Paz was a hostel we went to because the one I preferred was full. It was bitterly cold, but enough for a night of sleep. The people were nice and they got me someone to fix my laptop next day. It took 3 days, but then it was mostly fixed! In the meantime, we spoiled ourselves with some nice restaurants and city life. We also visited a Cholitas Wrestling match with the hostel. It’s like Hulk Hogan, but then female and in traditional clothes 😉 Not for everyone, but funny enough for a night out! 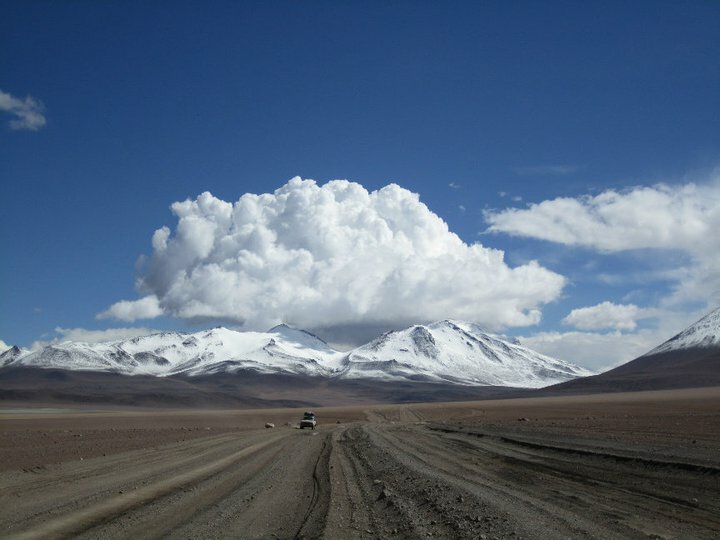 After my two weeks in Bolivia, I decided to leave for Lima because I had an application interview with my prospective University. 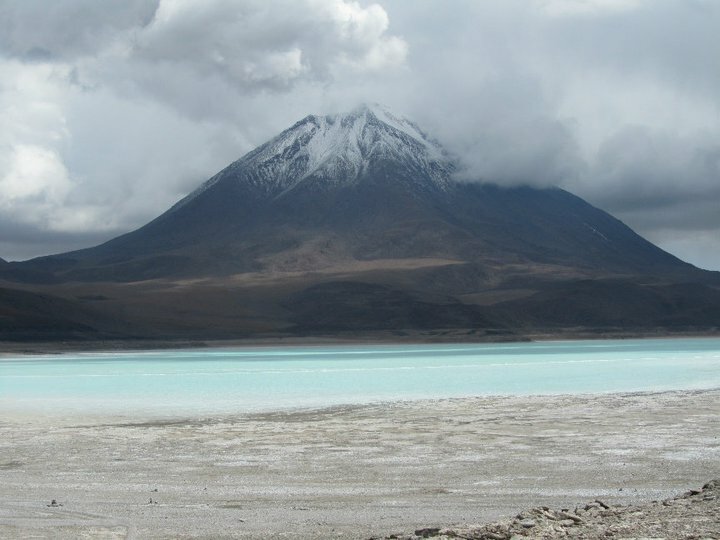 I was also still feeling sick of the illness and the altitude in La Paz didn’t help me. La Paz is great though! I am looking forward to come back there in August on my way to Sao Paolo. I decided to take a non-stop bus to Lima, which was more expensive than to do it the creative way (by taking bus to border, bus to other town, bus to Lima) but comfortable. Therefore, I also had to skip Lake Titicaca, but I knew I had to come back the same way when going to Sao Paolo to complete my South-America itinerary and fly back home! After 30 hours in the bus (beautiful route along the Peruvian coast!! ), 30 minutes in the taxi (que trafico!! ), I arrived at Calle Schell 644, my new home! My new landlord, Marcela was waiting there and showed me into my new house. She and her mother even made my bed as I was so tired I could barely walk. 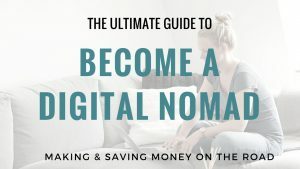 I fixed the last driver on my computer (the audio driver – which is quite essential to have an interview over skype) and went to bed. Early rise, shopping for breakfast, and the interview for the CEMS-MIM programme at Rotterdam University. Hope it’s good enough, I’m with the last 100 and they admit 70.. so close! Let’s keep hopes up! Mid-march I should get the result. Today I went for a walk with some new girls from my house. Had a look at the beach and there are great waves for surfing. Although you first have to descend a couple of hundred meters before you’re at the beach – Lima is built upon a cliff. So far so good over here, really enjoying and good to have a steady place again after 2 months of hard-core travelling! Tonight we should have an integration party with the people already living here :). Wat heb je het allemaal weer geweldig gedaan! Bravo!! Nu nagenieten van al je avonturen en op ontdekkingstocht door Lima. Dit is weer zo’n jaloersmakend verhaal!! Wat doe je vette dingen, en wat vliegt de tijd, je bent al weer 2 maanden weg!! 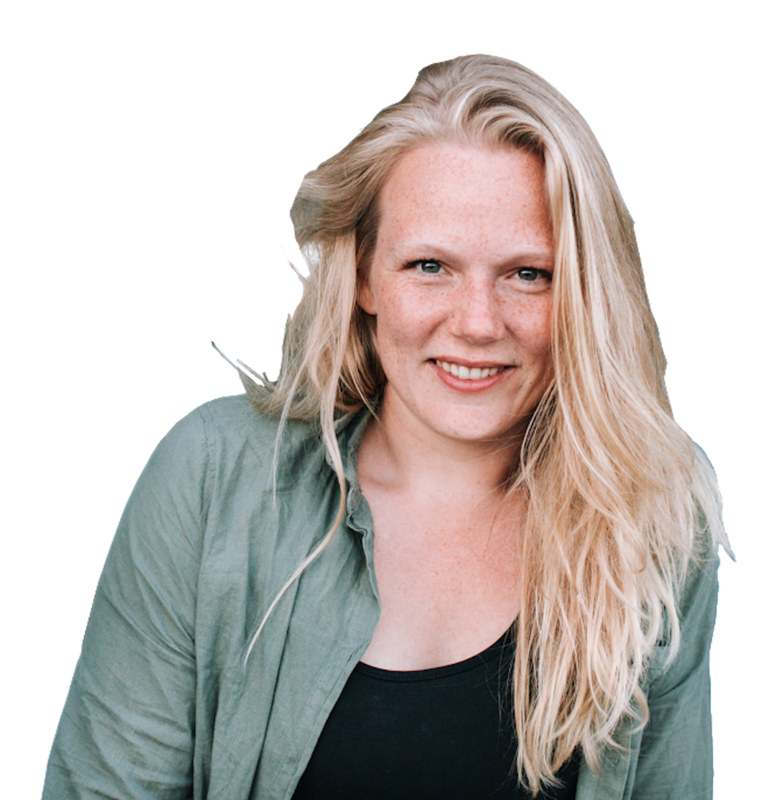 Straks gaat het studeren natuurlijk pas beginnen, maar ik twijfel er niet aan dat er toch nog interessante verhalen gaan komen!